A couple of years ago I read Just Like Heaven, the first novel in this series. 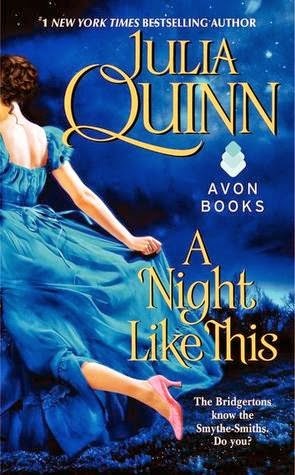 Ironically, it was actually a review for A Night Like This that made me want to try it (and the romance genre in general), so why I didn't get to it sooner is rather a mystery. In a romance series, you obviously can't have the same primary characters in each book. It would dampen the required happy ending a bit if the couple then broke up in order to have romances with other people in the next book. Commonly, a romance series centers on members of a particular family, here the Smythe-Smiths. The first book was about Honoria, but this one stars her brother Daniel who has been in exile for 3 years after accidentally shooting a friend. Newly returned to England, he immediately falls for his cousins' governess, Anne Wynter. But Anne has secrets, and is extremely hesitant to get involved in a relationship. The last time that happened it resulted in having to cast off her old life entirely and take on a new identity. 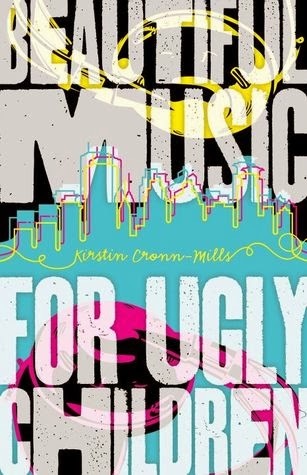 Just as in the last book, this one begins with a concert of the Smythe-Smith Quartet They are a group of extremely untalented young ladies who do not enjoy playing music but perform every year for a reluctant audience, because tradition. Anne has had to fill in for Sarah, who faked an illness so she wouldn't have to perform, which resulted in Anne's initial meeting with Daniel. Also similar to the last book, this one is infused with a great deal of humor. The story is a bit darker though because of Daniel and Anne's pasts, but I liked that. It heightened the tension and raised the stakes. Though it was even a bit too dramatic at times, I found it overall quite deliciously enjoyable. Often, the hurdles that keep the love interests from one another feel forced, and there are many times I wish one of the characters would just tell the other person what's going on. But here, it felt convincing. There were secrets that Anne kept from Daniel and it was completely understandable why she would do so. I would have done the same thing in her position. This is the first romance I've read in a while and it reminded me why I like them. I read this last week while out on vacation and it was just the perfect reading for a few lazy days. The next time I'm thinking of romance, I'll probably look to Julia Quinn again. I've really enjoyed her books so far! We were first introduced to secret police agent Leo Demidov in Child 44, then continued his story in The Secret Speech. 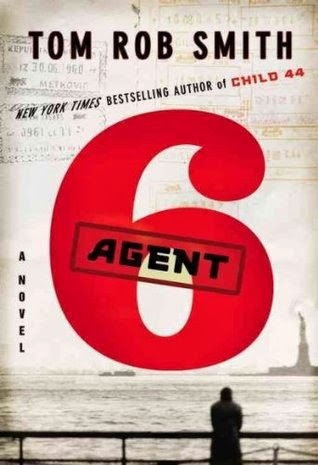 Agent 6 is the latest final volume in this series. It's 1965 and Leo's wife Raisa will be traveling to the US with their daughters to give a concert. Because he left the KGB, Leo is forbidden from traveling abroad so he stays behind in Moscow, worrying and waiting. When his family becomes involved in a plot that ends in tragedy, Leo becomes desperate to hunt down those responsible. Agent 6 is a saga spanning continents and years. It has two distinct major parts; the first takes place in Russia and in the US, and the second is set unexpectedly in Afghanistan fifteen years later. Leo is again working for the government, as a Soviet advisor for the Afghan Communist regime. Being stationed in Afghanistan - an unpopular assignment - may allow him the opportunity to escape to the US and finally carry out his investigation into the events of 1965. Smith captures both settings quite well, I think, though I rather wished the Afghanistan part was a little shorter. As with the first two books in the series, the plot was quite well-crafted. Here it revolved partially around a black, communist, American singer named Jesse Austin who was under great scrutiny from the US government and often felt more at home in the Soviet Union. The government destroyed his career because of his political leanings towards the Soviet Union, where, ironically, a similar sort of fear and paranoia reigned. Leo continues to be an intriguing, though flawed, hero. His single-minded goal for so many years speaks less of justice than stubbornness and an inability to let go of the past. But his life is so tightly controlled in the Soviet Union and he had so little to begin with that every loss is devastating. Agent 6 is not happy or hopeful, and I'm still undecided about how I feel about the ending. All in all, this trilogy was consistently good, which is fairly unusual. Usually I feel like the second or third book is especially weak, but not here, though I did love the first book a bit more than the others. I don't consider myself a fan of spy novels (I read about half of Tinker, Tailor, Soldier, Spy and understood none of it, and the movie didn't help things any) but Smith's writing is clear, his settings vivid, and his characters real enough that you root for them all the way. Last year, I reread Alias Grace and it made me want to revisit The Handmaid's Tale, which I last read probably twenty years ago. I think most people are familiar with the premise of the story, but in case you've forgotten, it takes place in a future United States under tight religious-fueled control. The birth rate is extremely low and women who are fertile have been forced to be handmaids for more powerful members of society who are unable to have children. In this new world women are not allowed to work or own property. The main character is Offred (as in "of Fred") and we never learn her real name, but she remembers the time before, when she had a husband and daughter of her own. She has no idea where they are now. The story of how she lives now is broken up with bits and pieces of her past life and the chilling tale of the time when things changed. What is so unnerving about the world Atwood has created in the The Handmaid's Tale is that it seems so possible. With the explosion of religious fundamentalism, increase in violent crime, and backlash against feminism such a scenario is disturbingly easy to imagine. 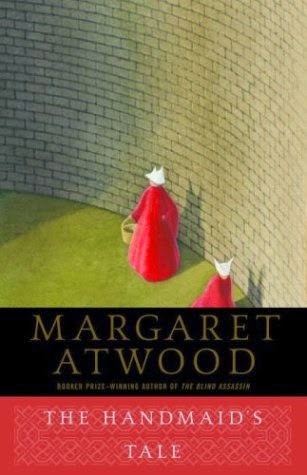 Just the fact that Offred lived through the change from our world to this dystopia makes it seem real - she identifies with everything that is familiar about our culture, making her recognizable to us, yet also exists in this strange new world. And it is strange, despite how small of a leap it would take to get there. A world ruled by extreme paranoia, in which women aren't allowed even to read (that would be a nightmare in itself for me), and in which executions are frequent and the bodies are hung on public display. The handmaids all dress in red uniforms with white wimples, the housekeepers in their own blue uniforms, and everyone with an extremely specific role. Speaking your mind is extremely dangerous, and society is ruled by fear - of execution, or of being sent to the mysteriously unexplained colonies. This time I chose the audiobook, narrated by Claire Danes. Danes seems an unlikely narrator somehow, but the reviews don't lie - she does an excellent job. Her style is fairly impassive, which seems just right for Offred's voice. This is a woman who can barely believe how her life has changed, but feels forced to accept it, just as she is forced to keep all of her thoughts and feelings bottled inside so she doesn't draw attention to herself. This literary novel is political and feminist, but in the very best way possible. It has become a modern classic, and with good reason. If you haven't read it, or even if it's just been a long time, I encourage you to pick it up. This fairly short book is packed with not just a captivating story, but also a great deal of fodder for thought and discussion. Most of the stories in this collection are recognizable Perrotta, set as they are in schools and suburban neighborhoods, the star characters primarily parents, teachers, and teenagers. In "Backrub" an honor student, who was inexplicably turned down from every college he applied to, now delivers pizza and is being subjected to unwanted advances from a local cop. In "Grade My Teacher" a teacher confronts a student who wrote negative reviews of her online. A man sneaking into his neighbor's garage to use an air compressor on the sly finds more than he bargains for in "Kiddie Pool." A teenaged boy gets paid to take the SATs for other students in "The Test-Taker." Unlike many short story collections it was easy to just move from one story to the next - maybe because they felt like they could have taken place in the same town to characters who all knew each other. Whatever the reason, instead of my usual habit of reading just one story at a time and then setting the book aside for a while, I plowed through the entire collection in less than a day. In most collections there are a couple of stories that don't seem as good as the others, but each of the ten stories in Nine Inches deserved its place here and it would be tough to even pick favorites. Some of the stories were sad, filled with lost opportunities and missed connections, and in all of them I felt the same intimacy with the characters as usual in Perrotta's writing. As much as I don't like suburbia, I'm happy to dip into Tom Perrotta's version of it. I'm already looking forward to his next book. I started reading Sylvia Plath in high school, beginning with The Bell Jar and then moving on to her poetry. At the time I was fascinated with her macabre imagery and, of course, her suicide. But I've continued to admire her poetry over the years, though I don't generally read much poetry. 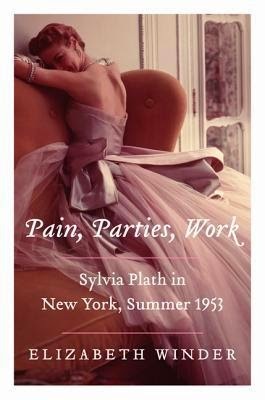 It was serendipity when I came across Pain, Parties, Work on a shelving cart of recently-returned books at work. I hadn't even heard of it, but was instantly eager to read a book about the summer that inspired Plath to write The Bell Jar. Plath was at Smith when she joined Mademoiselle magazine's College Board, a national group of collegiate contributors to the magazine. Out of this pool, twenty lucky young women were chosen to spend the summer in New York as guest editors to work on the college issue of the magazine. Sylvia Plath kept extensive journals, but not for this one summer. She wrote only a single entry, and that was focused on the execution of the Rosenbergs. Winder had to consult other sources, such as interviews with the other guest editors, to piece together the story of Plath's summer in New York. 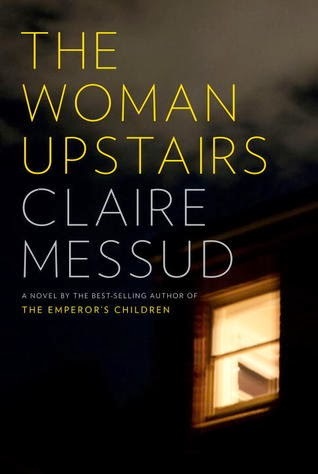 Written in an easy, breezy style, this was a pleasant and quick read, if a bit choppy. The text is frequently broken up with "conversations" that seem to be quotes from various friends put together to look like a conversation (though they don't quite match up in a sensible way), or boxed insets containing bits of information about Plath that doesn't fit into the text. One of those is labeled "Vitals" and contains factoids such as "She never wrote in cursive" and "She went on sixty-seven dates between July 1 and August 31 in the summer of 1949." (Which, wow.) These were fascinating and I'm glad Winder found a way to include them. "Desks were littered with black and cream Stork Club machbooks, or crammed with Ferragamo shoes and berry-trimmed hats. Editor in chief Betsy Talbot Blackwell's office was a deep green forest - she called it her boudoir and kept her desk stocked with vodka and ice." Details about fashion and sexual mores were also included, as well as the girls' views on feminist issues especially as it pertained to their own career and family goals. Some of the most interesting parts occurred after the editorship was over, when Sylvia went home and sunk into a depression. Less than two months after returning from New York she tried to commit suicide. It's easy to view Sylvia Plath as a mentally ill women whose entire life is just building up to her suicide, but of course that's not the case. Winder's book gives us a glimpse of the other Sylvia, the one most of her acquaintances knew. Even they didn't all view her in the same way, as Winder emphasizes when pointing out that we are all seen in only one dimension at a time. Sylvia's acquaintances saw her as "a kindred bluestocking" or "a cultivated beauty" or "a caviar-stuffing barbarian" depending on who was observing her at the moment, each under different circumstances. As Sylvia herself was quoted saying, "People are like boxes. You would like to open them up and see what's inside but you can't." Gabe knows he's a guy, even though he was born in a female body, but convincing everyone else is proving difficult. High school is almost over though, and once he's free he will start living the life he was meant for. That includes music - and he's just scored a gig on a local radio station thanks to his friend and next-door neighbor John. His show is called Beautiful Music for Ugly Children and he garners a following almost immediately. He is still known as Liz at school, but now does the radio show as Gabe, so it's only a matter of time before worlds collide. Gabe's best friend Paige has stuck by him through the transition so far, but his family is another matter. And some of the kids at school are just horrible. But Gabe finds support in surprising places, which actually made the story even more realistic to me. There's a moment in which Gabe is slightly tempted to just throw away his new life and go back to being Liz because he feels like he's complicating everything for everyone. But of course he doesn't because he's not Liz, and as much as that would make things simpler for other people, for him it would mean living a lie, living in misery, and possibly not living at all. I think this is a really important point for those who have trouble understanding the trans experience - that it's far more difficult and uncomfortable and miserable to live in their assigned gender than to be themselves and endure ridicule and prejudice that comes with it. When you think about all the crap they have to put up with, that's pretty mind-boggling. 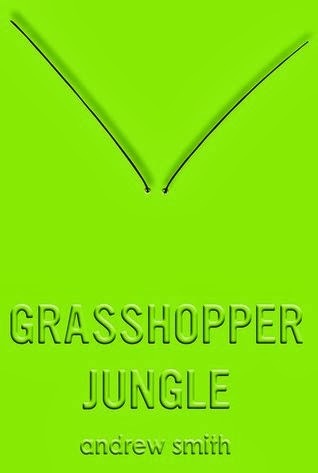 My only critique with this book was that some of the conversations felt forced and fake, mostly between Gabe and his mom. She seemed a little two-dimensional to me, and the rest of his family wasn't especially well-developed either. But that wasn't really important, because this story was so much more about about Gabe and Paige and John and the radio show and all of those parts were really really good. 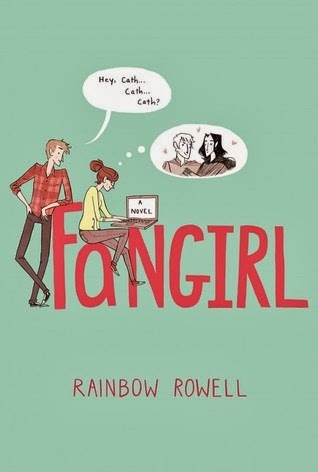 Some of the reviews on Goodreads call this an "issue book" and I suppose it is in a way, but it doesn't feel like an after-school special or anything like that. I really felt like I was getting to know Gabe, who is a kid who is struggling with some stuff but is totally going to turn out well because he's strong and knows what he wants. Despite some of the bad things that happen in the story, it was was inspiring and hopeful. We had about ten minutes of warm sunshine yesterday, which perfectly coincided photographing my finished Geodesic Cardigan. This would have been extremely unpleasant in the 30-degree weather we had been having. One of my concerns while knitting was that the hem remained flipped up, but I'm happy to see that it seems to be behaving after blocking. I was also afraid of how the tucks would turn out, because judging from other projects on Ravelry, the results vary widely. Mine aren't perfectly straight or uniform by any means, but they don't stick out awkwardly either. The color is lovely, isn't it? I hope I can wear it at least a few times before it completely disintegrates, which is exactly what I fear will happen since this yarn is of such poor quality. It was trouble from the start, and then a couple of times while I was knitting, the strand just came apart in my hands. That was pretty unnerving. So, my spring cardigan is done. Do you hear that, spring? That means you can arrive now!